After the awards were given out and the after-parties had ended (well, today IS just Tuesday….they may still be celebrating), I started thinking about how impressive each actor was in their respective films. But, what about outside of the movies? How do these people stay on the cutting-edge of the art form? I did some digging and was delighted to find a great story in what James Franco is doing to keep himself in tip-top condition. I could make a list, highlight the top 3-4 points of what I took away from all of this, but I think it all comes down to a core principle. Never stop learning. Franco continues to develop his skill, pushing the envelope and stepping outside of his comfort zone. Not only was he in a movie this year, but he stepped into unknown (and to be honest, not so glamorous) territory with his TV debut on the soap opera, General Hospital. You see, while many actors who have made it as big time movie stars view television as beneath them, Franco saw this as an opportunity to understand something foreign to him. Soap operas tend to film with a one-take approach, meaning you have one shot and then the director moves on. In movies, the same scene, even the same few lines could be repeated for sometimes 20 or more takes. On top of all this, Franco went back to school last year and graduated from UCLA and he’s currently studying at both the Rhode Island School of Design and working on his PhD in English literature at Yale. That’s what I call dedication, discipline, and determination. 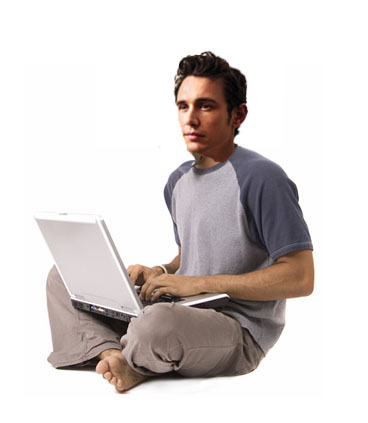 I’m not endorsing James Franco or even suggesting that he’s perfect. But I think we can all learn from his dedication and determination. Next Book Review: GET HIRED!